Designer and artist Colleen Jordan has a quirky range of nature-inspired jewelry that will stand out amongst your usual bling. Discovered at the Model Citizens show during New York Design Week, Jordan’s 3D-printed miniature vessels are ready for your favorite herb, cutting, or bud. The necklaces are perfect for green thumbs and the cubicle-bound alike: You can wear a sprout you encountered on your morning commute, tend to it over your lunch break, and freshen your workspace with the oxygen it releases. Designer and artist Colleen Jordan has a quirky range of nature-inspired jewelry that will stand out amongst your usual bling. Discovered at the Model Citizens show during New York Design Week, Jordan's 3D-printed miniature vessels are ready for your favorite herb, cutting, or bud. 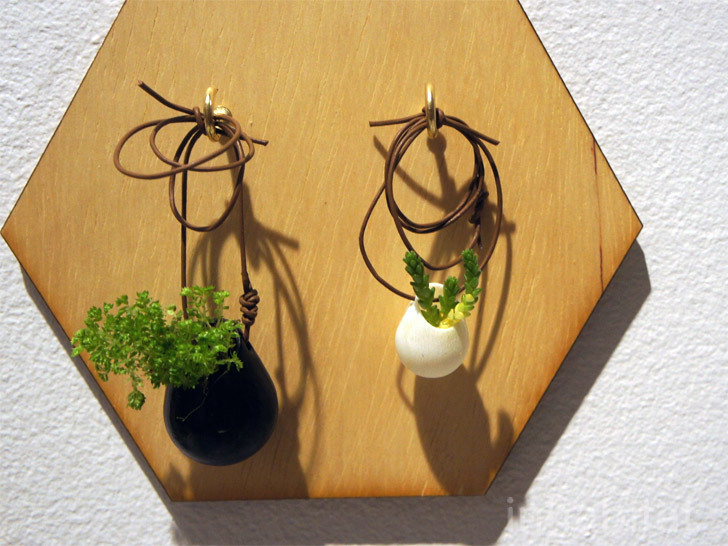 The necklaces are perfect for green thumbs and the cubicle-bound alike: You can wear a sprout you encountered on your morning commute, tend to it over your lunch break, and freshen your workspace with the oxygen it releases.